Unfortunately, iPage actually does not offer SSH access to their users. If you are unfamiliar with SSH, it means the same thing as Secure Shell, which is a type of protocol that is used to protect sensitive information that is passed through unsafe channels. So, without SSH Access, basically anyone with the necessary tools, resources, and expertise can look at the information that you share on your site. With SSH, you are able to put together a secured channel where you can safely send information from one SSH client to another or from a SSH client to a SSH server. Overall, SSH Access is only really necessary for website owners that are creating a website where there will be sharing of sensitive information. It is also important if you want to provide users with the ability to have direct access to your servers. 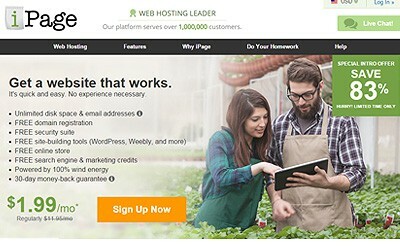 The main reason that iPage does not offer SSH access is because they cater to the beginner website owner. Every part of their service is intended to be incredibly easy-to-use, even for non tech savvy users, and offering SSL access mean providing users a feature that they may not understand. certificates. 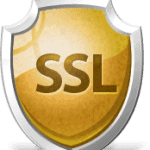 While offering SSH access would be a necessary option for most advanced website owners, having an SSL certificate is more than enough security for beginners that are not building websites where high level security is vital to operation. We, the INTERMEDIATE users, need solutions like Symfony, Laravel and another PHP frameworks which requires shell access in order to execute necessary commands such as : php bin/console server:run, among others. With no this feature, we can’t work with our projects. Instead, you force us to pay an extra cost to reach up to expert functionalities: we can’t pay since they are extras for us which we don’t use them anymore. So, you don’t offer us solutions to take us into account. You haven’t wanted to adapte to the new times at the developer ages. On top of that you don’t support INTERNATIONALIZATION of web applications!!!!!! OMG!!!!! !